On the banks of the Yarra River in Melbourne lies the Crown Casino and Entertainment Complex, the largest in the Southern Hemisphere. Spanning two city blocks, the casino houses three hotels, nightclubs, dining, and many amusements in addition to casino gaming. The Crown was founded 1994 at the World trade Center on the north bank of the Yarra as a temporary location pending completion of the main complex and later was moved to the South bank in 1997. Crown Casino and Entertainment Complex is the largest Australian land casino with a license to operate over 500 table games (blackjack, poker, baccarat, roulette, and pai gow), sports and horse betting, and 3500 pokies manufactured by world-renowned gaming technology providers Aristocrat, IGT, and many others. The player’s club, Crown Signature, rewards players with ongoing food, entertainment, and game promos regularly. 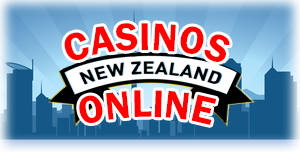 The casino is open for operation 24 hours a day, seven days a week except for Christmas Day, Good Friday, and Anzac Day. Gracing the skyline of downtown Melbourne are the three Crown hotel towers. Crown Towers is a five-star luxury hotel located within the Entertainment complex, housing over 480 rooms on 38 floors. Crown Metropol is Australia’s largest hotel with over 650 rooms on 28 floors, and Crown Promenade is adjacent to the Crown Towers and houses 465 rooms on 23 floors. The hotels’ award-winning luxury accommodations has attracted high profile celebrities, politicians, and other notable figures. 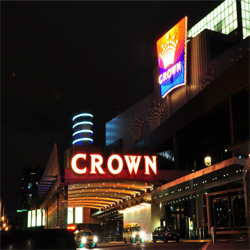 Clients of varying tastes will enjoy a plethora of dining options at the Crown. From a quick bite in one of two food courts to premium gourmet delights prepared by world-class chefs, eating at the Crown is a memorable experience. Dine-in and room service options are available around the clock daily. Tourists familiar with the Crown are always pleasantly surprised with the unique entertainment venues offered at the complex. Fun-loving clients of all ages have access to The Palms Theatre for live concert and theatrical performances, the Crown Sports Bar for the latest athletic events, seven movie cinemas, an electronic games arcade, a laser tag facility and a state-of-the-art bowling alley. Palatial fountains and electrifying light shows grace the complex corridors and pyrotechnic towers run the length of the promenade. Luxury brand stores like Louis Vuitton, Prada, and Hugo boss offer the latest styles in clothing and accessories for the discriminant shopper, and clients may be pampered at the two spa facilities, the Isika Day Spa and the Crown Spa, both providers of premium hair, nail, and relaxation services. Tourists visiting downtown Melbourne need to look no further when seeking excitement and upscale amenities because the Crown Casino and Entertainment Complex is the ultimate vacation spot of choice. This all-inclusive resort is located at 8 Whiteman Street, Southbank VIC 3006 and general information may be obtained by phone at 03-92928888 or via the company website at https://www.crownmelbourne.com.au/.